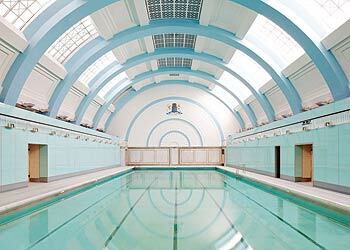 This morning I had the absolute pleasure of my first swim at the Marshall Street Baths in the heart of London’s Soho. It was shut down over a decade ago, in 1997, for health and safety reasons after it fell into a state of crumbling disrepair. 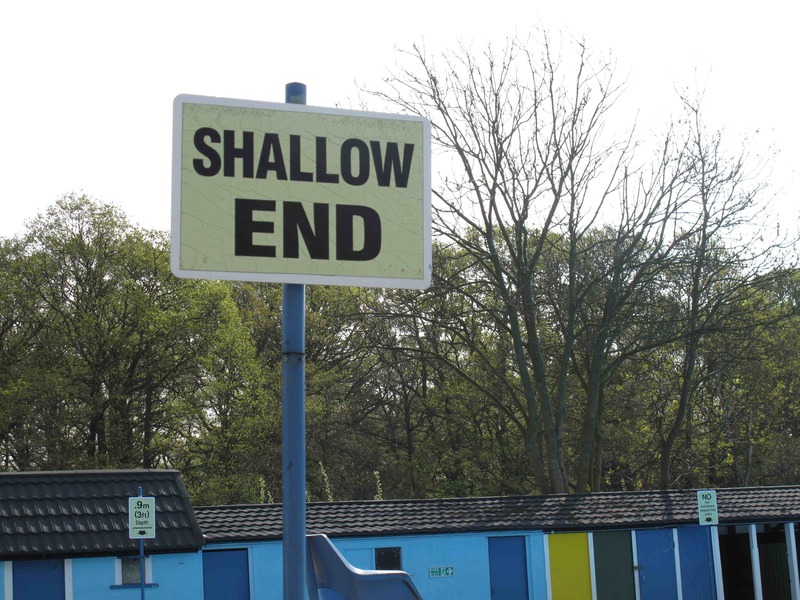 In fact the last time swimmers took the dip in this architectural gem Elton John’s Candle In The Wind topped the charts, John Major was still in power, and Princess Diana was still alive. 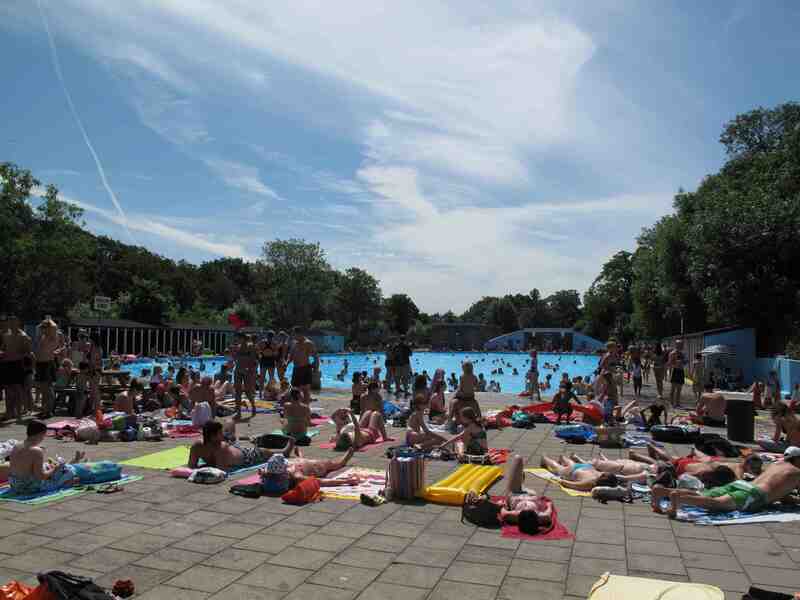 Although, it first opened in 1932 there have been public baths on the site since 1852. 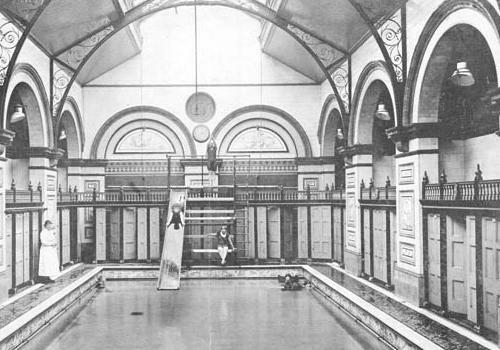 Well, the Grade II listed building famous for its stunning barrel-vaulted roof and Sicillian marble-lined pool has just reopened as part of a £25million refurbishment job. The rest of the project includes a gym, sauna and exercise studios as well as 52 apartments, 15 of which will be part of an affordable housing scheme. So that’s nice. 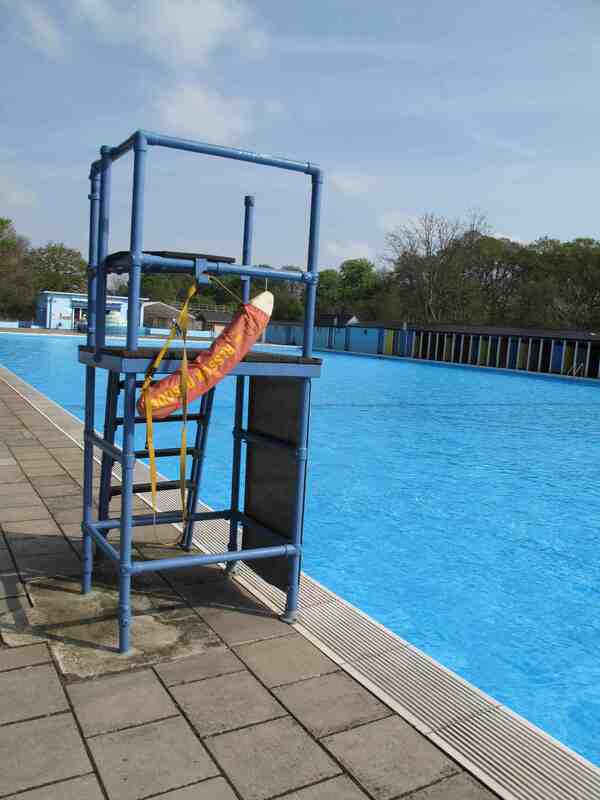 I got there at about 7.30am, and to my complete surprise there was only about 6 people in the pool. The first thing that grabs you, apart from the amazing paint job, are the green Swedish marble walls and glimmering white marble lined pool. 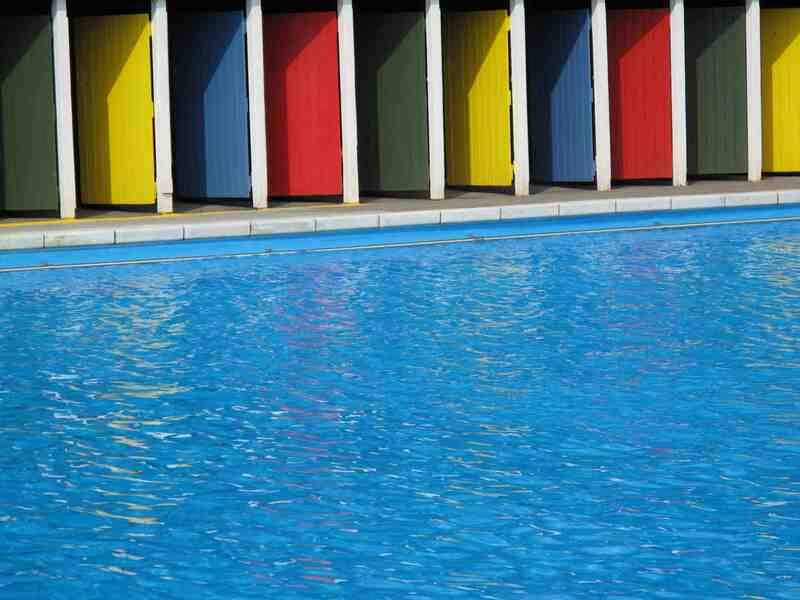 I have never seen anything like it, it is what I imagine a swimming pool in one of the royal palaces might look like (are the any?). The next thing is the original bronze fountain depicting a merchild and two dolphins, designed by the sculptor Walter Gilbert, watching over the lucky swimmers. Everything has been so lovingly restored. It makes every stroke and every turn a joy as something new catches the eye. But all of this comes at a price., in fact £5.25 which is a lot for most people. But as they say, you’re worth it. Every penny of it.